I know it sounds cliché but it always holds true: beauty comes in all shapes and sizes. The fashion world is undergoing a revolution where designers and stores are becoming much more inclusive when it comes to their sizing. The bridal world is no exception. More and more gowns are becoming designed for and come in larger sizes now. One designer who has always embraced beauty of all kinds is Pnina Tornai. Constantly striving to make as many brides as possible feel beautiful on their wedding days, Pnina Tornai embraces what makes each bride unique. I do not believe there is any wedding dress designer with as much flexibility and accessibility as Pnina Tornai despite her standing as one of the most high-end bridal designers. 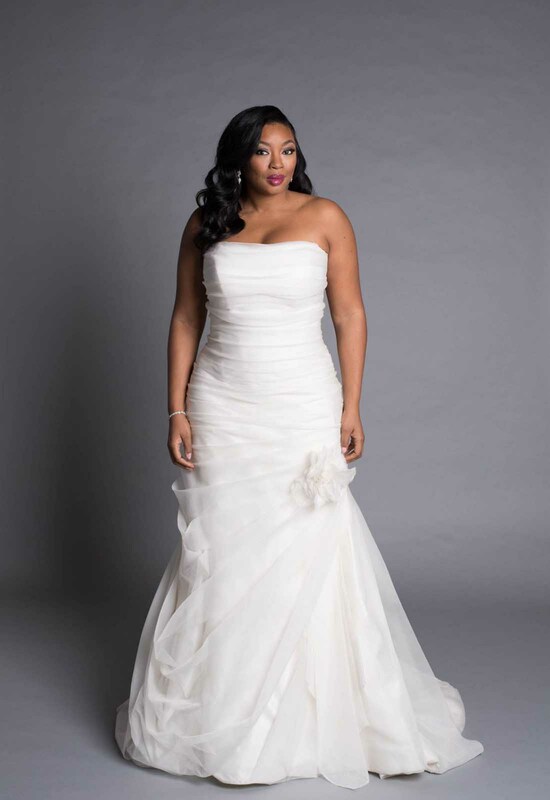 All of her gowns are custom made, allowing all brides, especially plus size brides, the ability to create a gown that works for them. What's even better is that customizing a gown with Pnina Tornai does not cost an arm and a leg, which makes your one-of-a-kind gown an achievable dream. 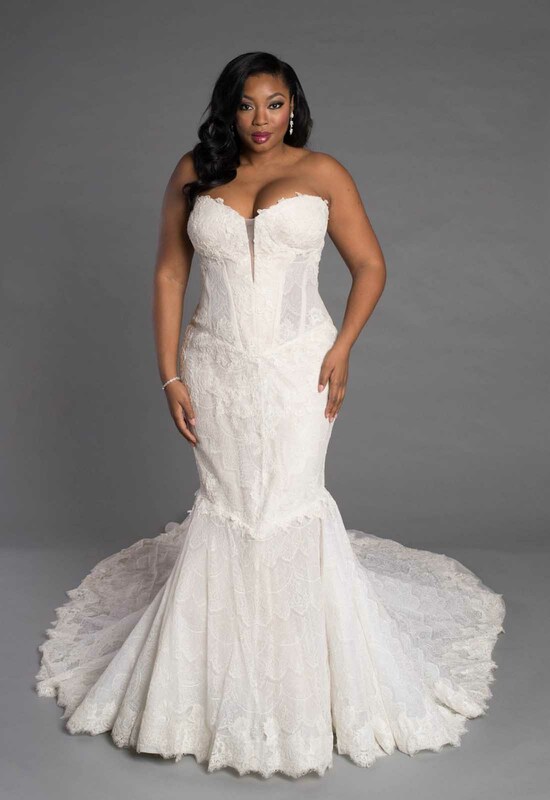 While Pnina Tornai does have gowns that are specifically designed for plus size brides, particularly in her LOVE by Pnina Tornai Collections, any gown that she makes can be made to fit a plus size bride. Extensive knowledge of the female form and designing to enhance and highlight, not hide and cover-up, Pnina Tornai designs gowns that bring out the best in any silhouette. 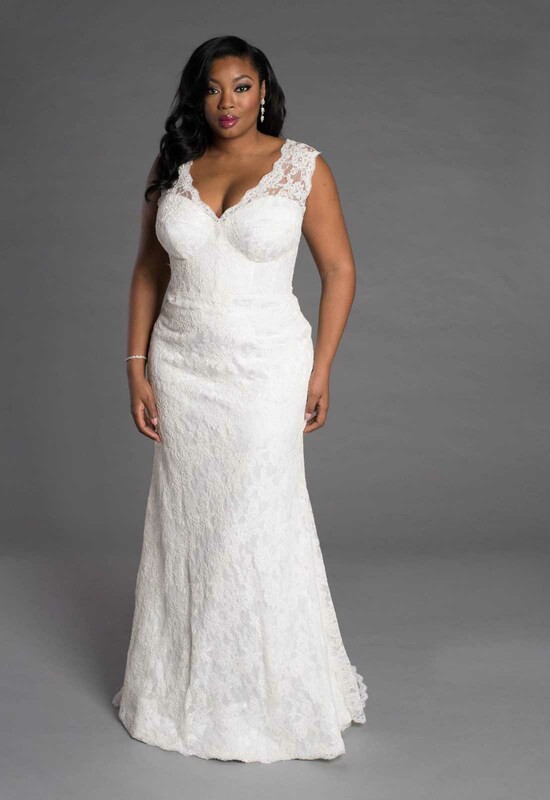 Personally, my favorite silhouettes for plus size brides are anything fitted, such as a mermaid or sheath gown, and ball gowns. 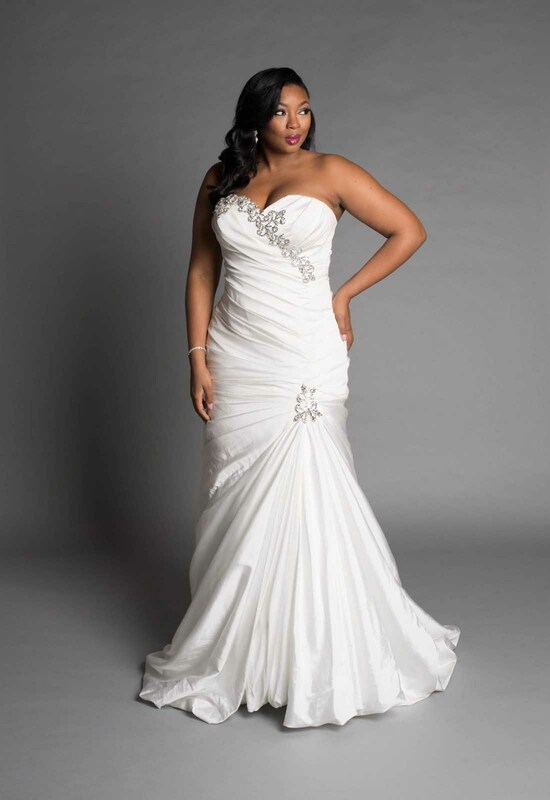 I think the tighter fitting gowns are great for thicker brides who would like to show off their curves. Hey, if you've got it flaunt it! To take your curve flaunting to the next level, choose a mermaid gown with ruching. It follows along the lines of your curves making you look wrapped in fabulousness. 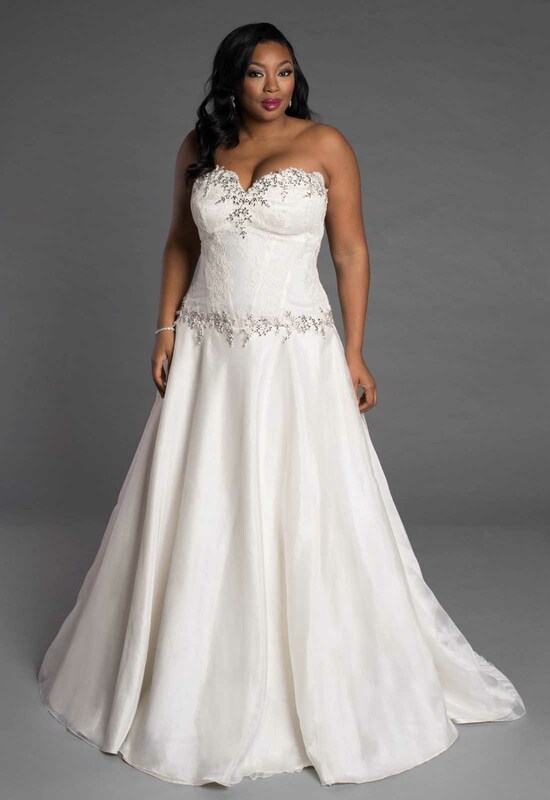 Ball gowns are great for plus size brides because they create a cinched waist. A corset can do wonderful things for a woman's silhouette, and a ball gown is loose on the bottom allowing the bride the freedom to move around and dance the night away. It's true that fashion still has a long way to go when it comes to inclusivity, but the bridal world has already made great strides toward making gown shopping for women of all shapes and sizes stress-free, fun, and full of options. This rings especially true at Kleinfeld Bridal, which houses the best plus size selection (and of course the Pnina Tornai boutique)! Have fun shopping ladies and never settle for anything less than your dream wedding gown.